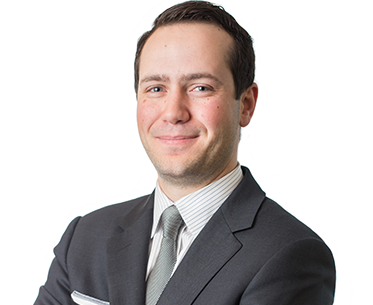 Chris articled with a major national law firm in Calgary before joining Peacock Linder Halt & Mack LLP in 2015. Chris has a diverse practice that spans several areas of interest. Chris has experience in employment law, construction disputes and insolvency matters. He is also involved as defence counsel for lawyers in legal malpractice lawsuits and has had exposure to a number of general corporate and commercial disputes. Chris has appeared before both the Provincial Court and the Queen’s Bench of Alberta. © Peacock Linder Halt & Mack LLP. All Rights Reserved.